It has been some time since the publication of an article on Bevan Calvert [an Australian handball player] on the previous Croatian World Network website [ "Friends" section, 3/20/06 ]. 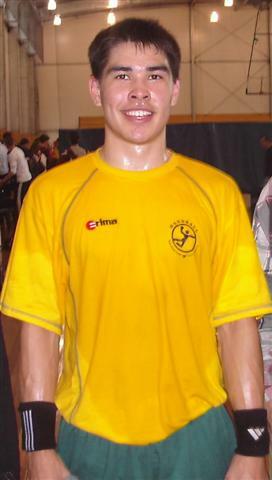 Bevan's photo in the game against Croatian handball team during the 2005 World Championship was included in an article about Croatia winning Silver in the championship and it became the 'prelude' to the article. Since then the Croatian World Network website has gone on to this much-improved platform which facilitates the flow of amazing stories on Croatia, Croatians all the world as well as Croatian friends, food for the thought and even humorous ones. Despite having enough incredible stories for the website, Nenad Bach whose inspiring work goes beyond the website, has encouraged for an update on Bevan to be written. At the start of 2006, Bevan was preparing to go to Europe to play handball at a higher level of competition. The Australian Coach, Morten Fjelstad, who is based in Denmark was instrumental in making arrangements for Bevan and four other handballers to play for Danish handball clubs. This was as part of their preparation for the World Championship to be held in Germany in January 2007. However, the necessary paperwork was not completed so he was not able to leave in January as hoped for. It is so true that there is always a good side of a disappointing episode in life. Being still in Australia, Bevan was part of the Australian Team which won the Oceania World Championship Qualifying Tournament and the Pacific Cup held in Sydney in May. He was second highest goal scorer in the Pacific Cup despite missing one game where the new players were given a chance in a sure-to-win game. Then in June, he was pleased to lead his state Team, New South Wales under 21's which competed and won in the Junior National Championships. It is also true that some things are meant to be and that things happen when the right time comes. At the end of July, Bevan at the age of 20, has got a step closer to his dream to play handball professionally. He and four other handball players left Sydney to play for handball clubs in Denmark. 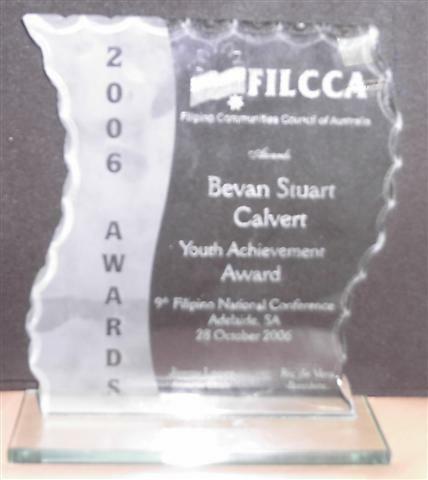 Even already overseas, Bevan's achievements in state and national level of handball were recognised in the Filipino Communities Council Awards held in October. Being of Filipino-Australian heritage, he was given the Youth Award for his state, NSW. FILCCA covered the eight states and territories as this is the umbrella body of Filipino-Australian organisations. 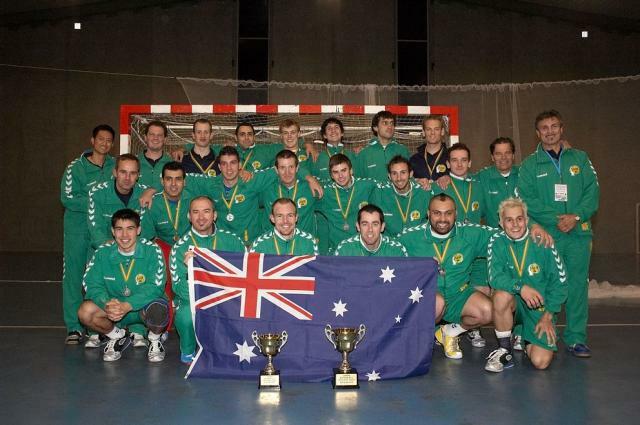 Right now, Bevan and the Australian men's handball squad are commencing their final preparations for the World Championship to be held in various cities around Germany, from 18 January to 4 February 2007. A large proportion of the Australian men's team is based in the northern hemisphere and benefit from this exposure to a higher standard of play. Given Australia's current modest standing in world handball, playing in one of the European leagues in the lead-up the World Championships presents the best ways to improve. Australia was drawn in Group B, along with France, Iceland and the Ukraine. It will be a massive upset if the Aussies overcome one of its group opponents; however the team never goes into a match to lose. For the first time in World Championship history, all teams will stay and play classification matches after the group stage. If the results of each pool finish as expected then Australia will play Greenland and Kuwait in the classification matches. Whilst Australia's preliminary games will be held in Magdeburg, Croatia will be playing in Stuttgart in Group F against Russia, Marocco and Korea. No doubt Croatia's aim is to re-gain the World Championship. All the best to the Croatian handball team. Cheerio &. Mabuhay &.Svako Dobro.